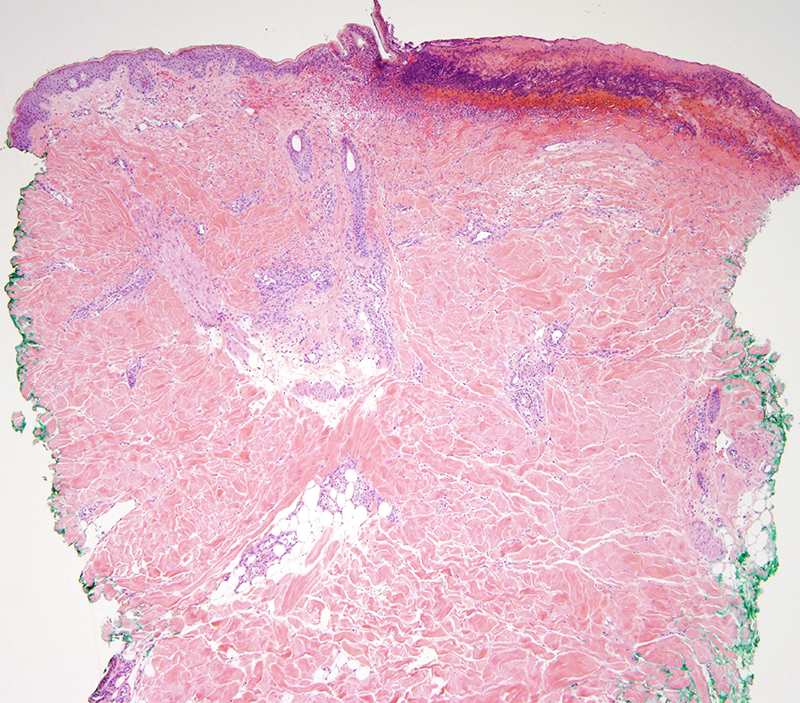 The fundamental process in the skin is one of acute necrosis of the eccrine apparatus, a finding very characteristic for the Coma blister and related iatrogenic/exogenous drug induced insults with attendant local complement activation and vascular injury namely Nicolau's syndrome and with local installation of certain analgesic compounds. 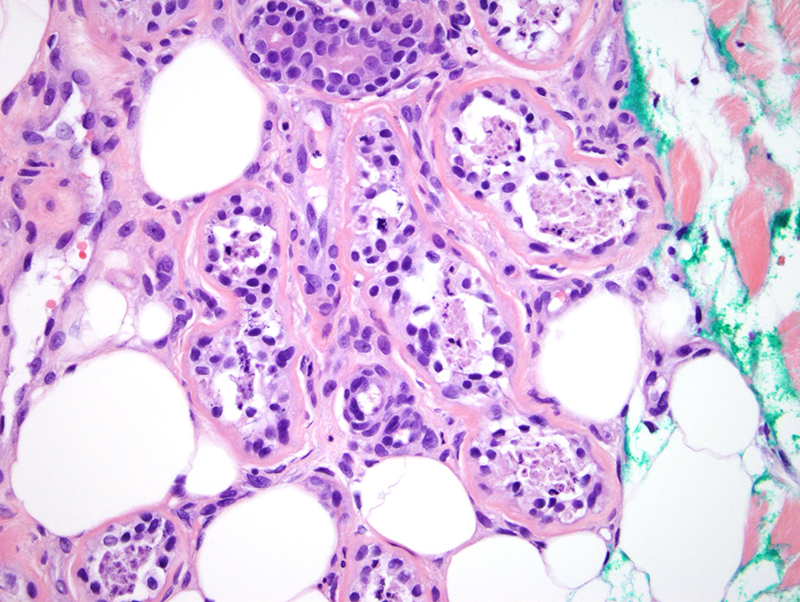 The histopathology does not support a diagnosis of atypical hemolytic uremic syndrome, Degos disease or any type of endogenous syndrome related to endothelial cell injury. One might question whether or not all of the changes on all three biopsies relate to agents specifically barbiturates. 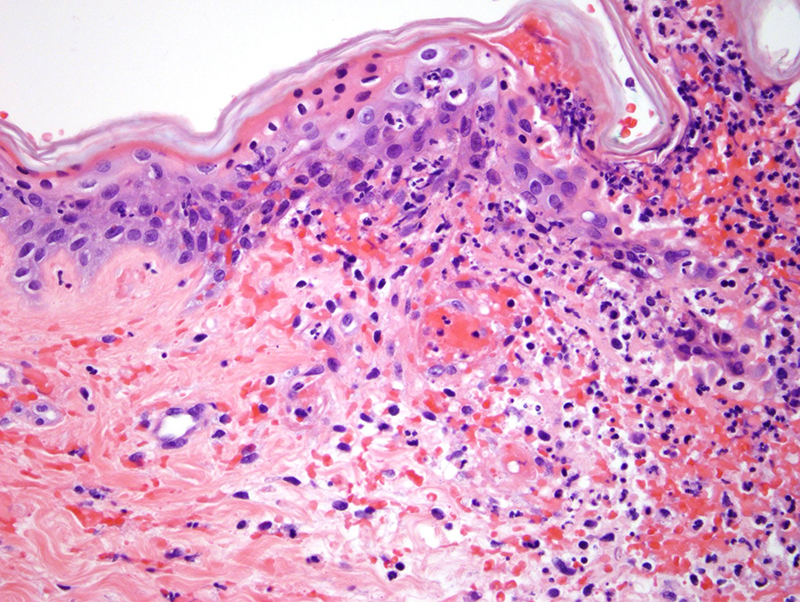 The actual pathophysiologic events that lead to the development of skin lesions that fall under the general umbrella of coma blister likely includes local and generalized hypoxia and the direct toxic effects of the drug along with the ability of certain drugs to potentially activate complement deposition. 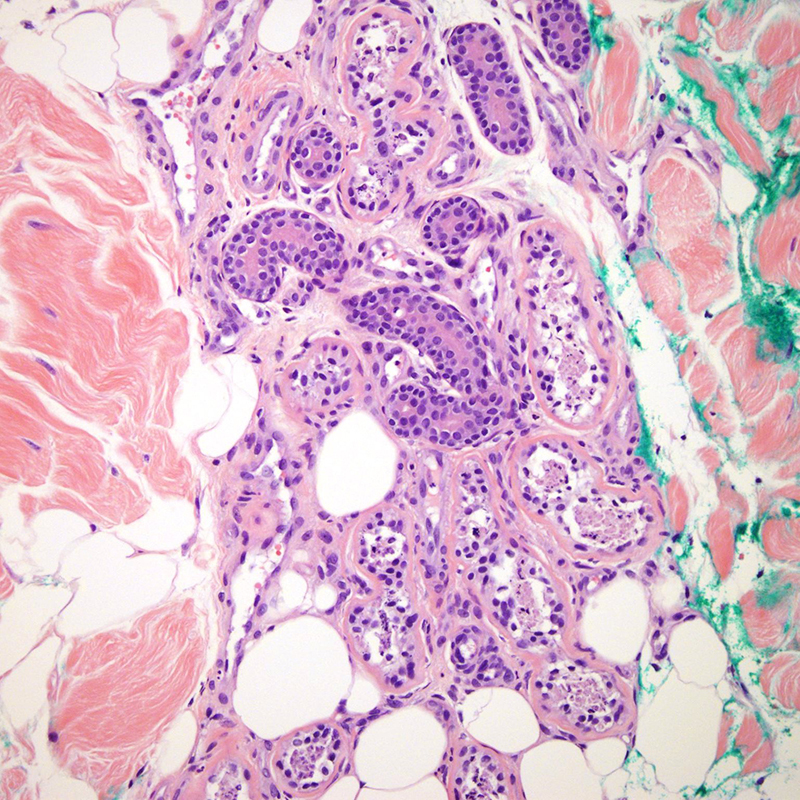 In this case the most striking complement component deposited in C4d however complement activation is a temporal event and not all components of complement activation are specifically present in this biopsy.